Dogs are men’s best friend. For dog lovers, they treat their dog as family. They would feed them, shower them, make regular visits to the veterinarian clinic, and most importantly, allow them to exercise. 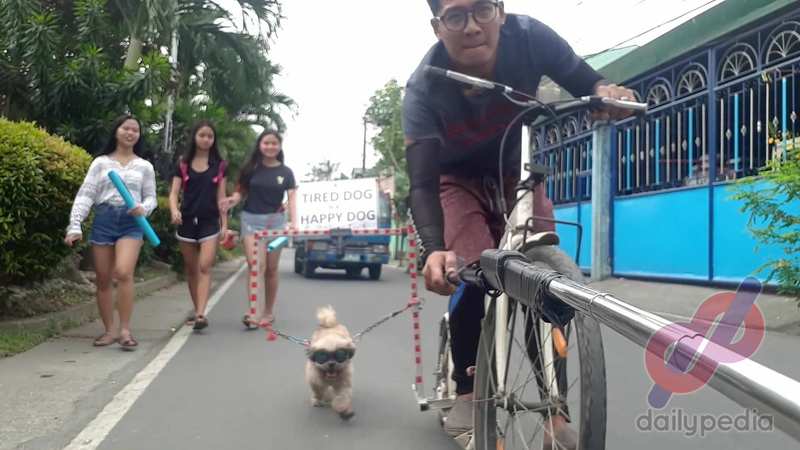 A post from the Facebook page DOG LOVER PHILIPPINES showed a Filipino who was able to make a “Do it yourself (DIY) dog powered scooter.” Sending a video with his dog using the dog powered scooter, he wrote on his caption that they were going to a fast food chain; which piqued the attention of netizens. 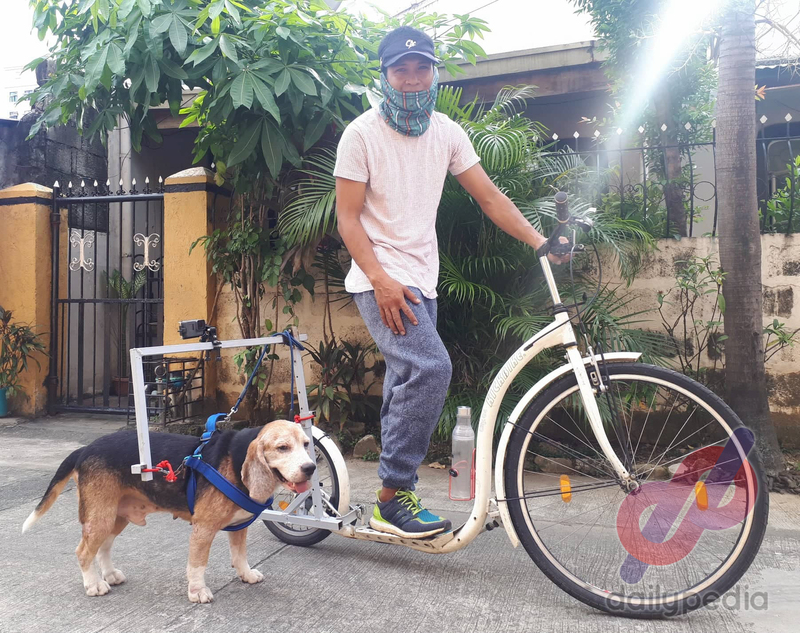 The man behind this DIY dog powered scooter is Emil Paraiso Pronuncial, who lives in Barangay San Andres, Cainta, Rizal. 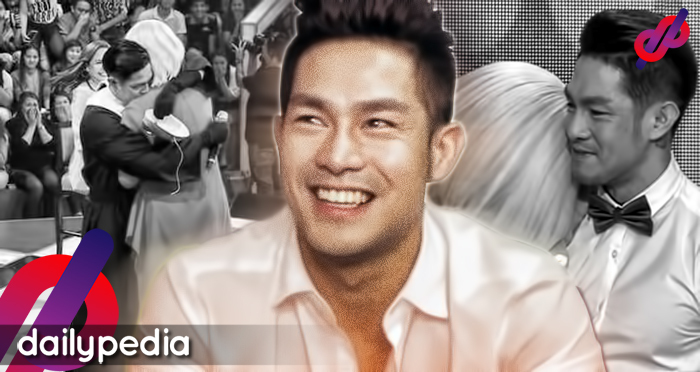 In their barangay, he is also known as “Kuya Aso” because he always strolls his dog regularly. 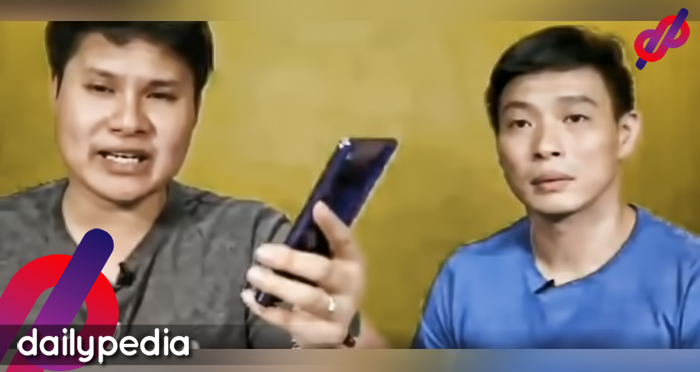 In an interview with DailyPedia via Facebook messenger, he said that as fur parent, it is their responsibility to let their dogs exercise. He was so diligent that every day he lets his pet take a stroll, for the canine to be able to freely walk or run. Since he had a lot of dogs, he would be having a hard time bringing them all. 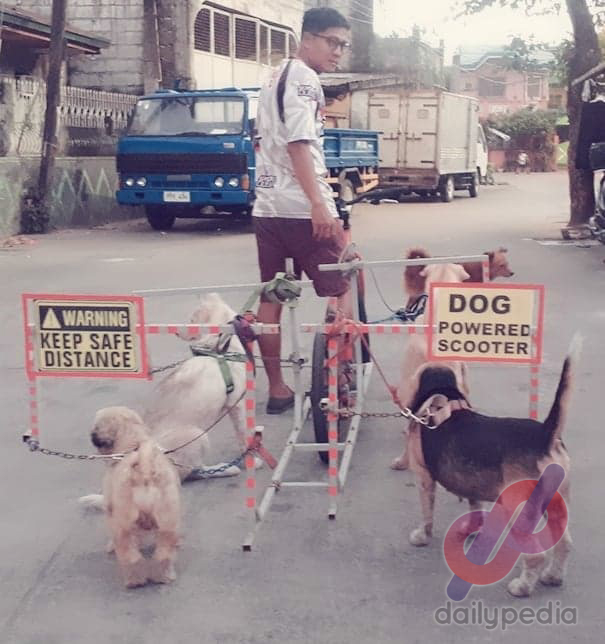 So he made a research on the internet on what he can do for the safety of his pets, until he discovered the dog powered scooter that originated from other countries. Emil tried to search for it, but soon realized it is not available in the Philippines. He even tried to purchase one online but it would cost him $675; which is so expensive. He really loved the concept of the dog powered scooter primarily for the safety of the dogs, unlike using a regular bike where you are not in control of your dogs and may cause an accident. 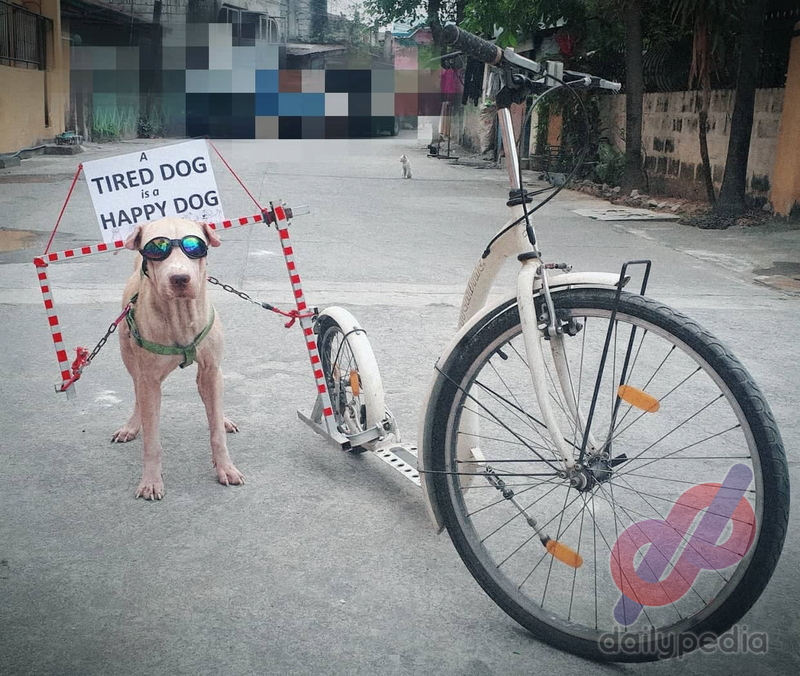 Emil’s campaign slogan is “a tired dog, is a happy dog.” This is where he drew his inspiration in creating his DIY dog powered scooter. 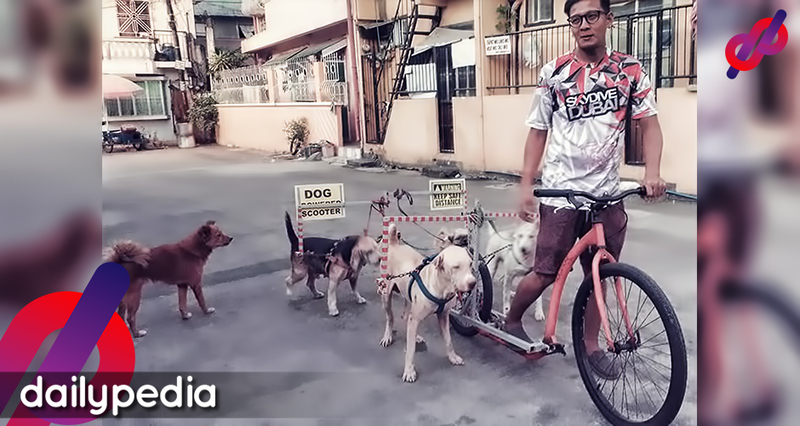 He wanted his dogs to be always happy and which has been the advocacy that he is campaigning for. Emil felt pity seeing other dogs that were just waiting for their owner and usually serve as guard dogs. 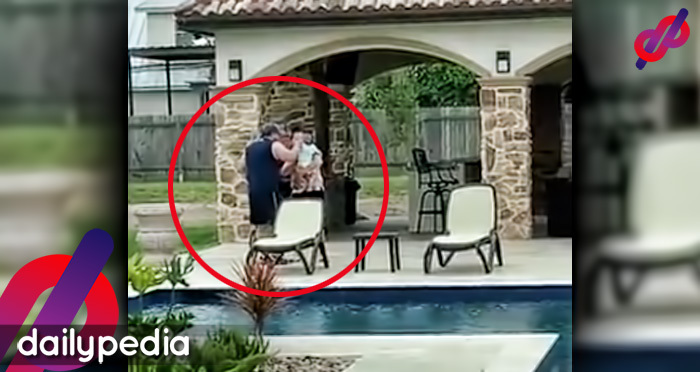 Their owners must have forgotten their obligations in being a responsible pet owner. And he said that dogs are already part of one’s family and we should know what makes them happy; because dogs continuously share their happiness with us. He started his project by simply looking at the original pattern that he saw on the internet. Then he searched for where he could buy a kick bike/kick scooter and bought other materials need for his project. He was hands on and personally cut the materials since he didn’t have a machine shop. Emil went to a welding shop and let them assemble the dog powered scooter. 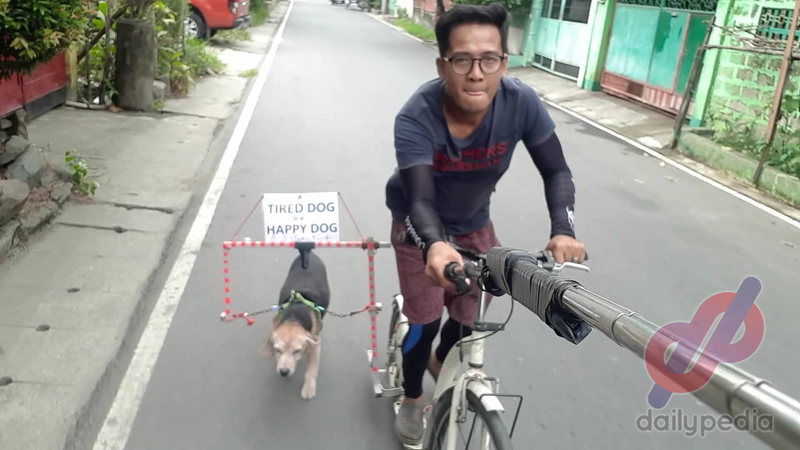 He had made a variety of dog powered scooter: a single dog powered scooter which is good for fast running dogs and for smaller dogs, he has the dog powered scooter. During their strolls, they would have stopovers on lawns where the dogs can be free. Accordingly, dogs would not be satisfied if they won’t be allowed to run around. There were also people inquiring and wanted to have the dog powered scooter too. But he told them that it was not for sale and if they really wished, Emil can help them assemble the thing. 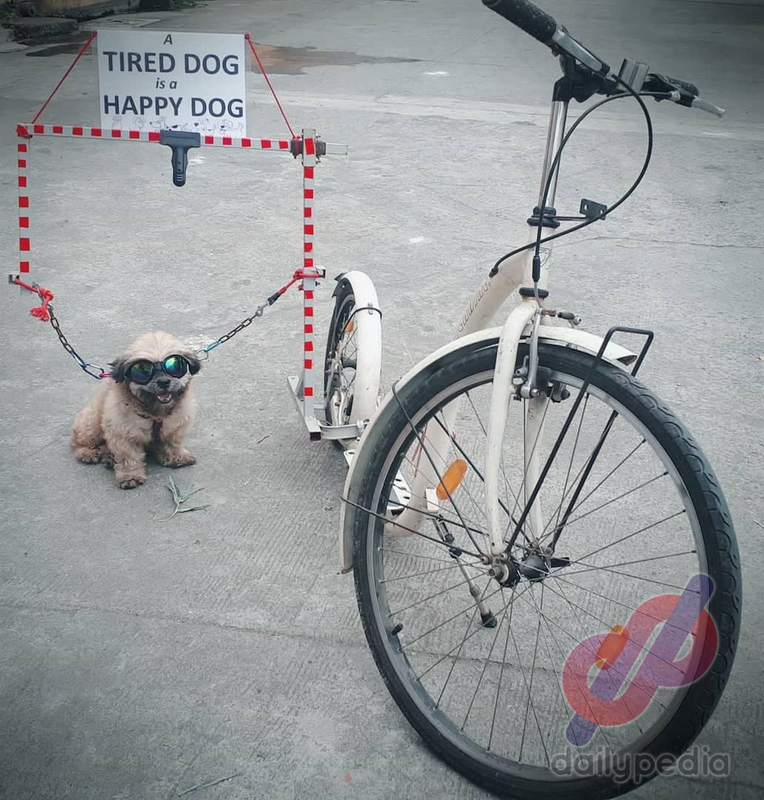 Being more creative, he even made personalized bags intended for dogs for the very purpose that if you are driving a motorcycle, you can safely bring them with you. 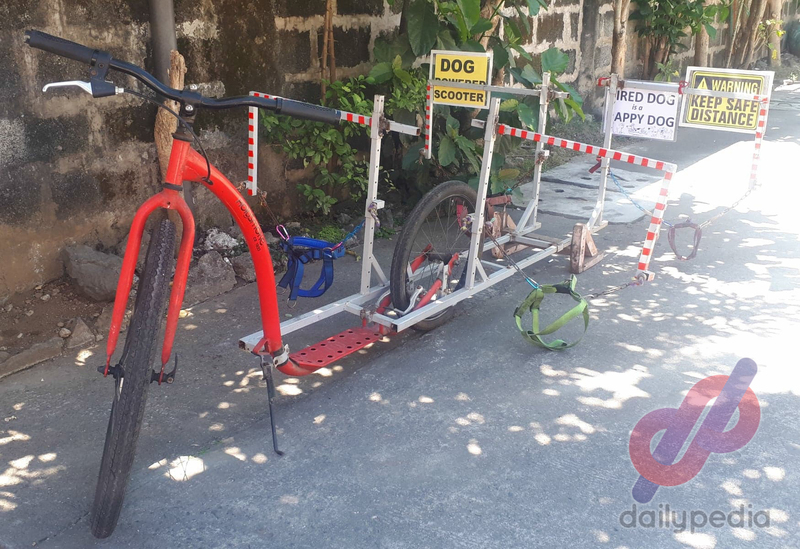 So he decided to make a cart to bring his entire kennel, making it easy for him to transport to find new locations for their regular everyday strolls which help the dogs develop their mental faculties. Because of his love for his dogs, he resigned from his job and went on business for him to have quality time with his dogs. It was hard for him to travel, even for three days, because no one would stroll and watch over his dogs. In short, he couldn’t easily leave them because for him they were his children. Emil’s love for his dogs was so exceptional and inspiring that he was willing to provide for the comfort of his pets. Love does not apply only for humans but extends to all living creatures in this world.